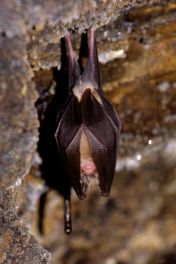 greater horseshoe bats, Brixham, Devon), with an estimate of only 5,000 individuals in the UK (photo credit: J Kaczanow). 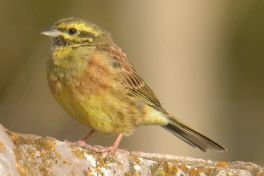 In the 1930's cirl buntings were widespread, found across most of southern England and parts of Wales. Cirl buntings started to decline as farming became more intensive and traditional mixed farmland was lost. By 1989 the range had dramatically contracted to South Devon with only 118 pairs left (UK Biodiversity Action Plan). Cirl bunting numbers are now recovering, through the work of the RSPB, farmers and partners. The numbers recorded in the last 2003 survey showed 697 pairs. Torbay currently has approximately 60 pairs, which is 8.5% of the UK population. Its current range in Torbay is concentrated around Maidencombe, Cockington, Elberry and Brixham (photo credit Mike Langman). 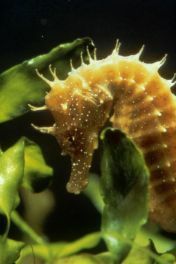 Seahorses are threatened worldwide and Torbay is known to hold good populations of two species, the spiny seahorse and short snouted seahorse. Seahorses are very sensitive to their surrounding environmental conditions and are therefore a useful indicator for analysing the health of the environment (photo credit F. Apestegui). The small blue has declined severely since the 1950s. 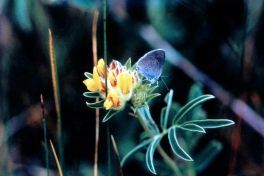 The species has shown a reduction in range of over 50% in the 20th century (Bourn & Warren, 2000; Species Action Plan Small Blue Butterfly Conservation), becoming extinct in many areas of northern England and becoming increasingly isolated in some southern strongholds. Torbay holds one of only three small blue sites in Devon, at the disused Lummaton Quarry; the only other known sites are in east and North Devon (photo credit J Burman). 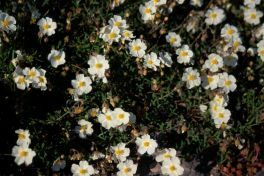 The white rock-rose is confined to carboniferous limestone around Brean Down in Somerset and Devonian limestone in Torbay. It occurs on dry, rocky limestone grassland on south facing slopes. In the UK it is at its northern-most European limit and in the UK it has Nationally Rare Status. In Torbay it is currently located at three sites and these are Berry Head, Wall's Hill and Daddyhole. 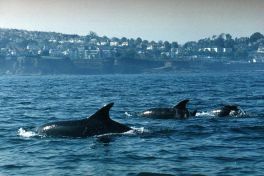 A pod of up to 50 bottlenose dolphins ranges along the South Devon and Dorset coast and members of this group regularly visit Torbay. Groups of harbour porpoise are also frequent visitors and basking sharks and seals can be seen in the Bay (photo credit West Country Publications).